We are Texarkana's leading supplier for kitchen remodeling and custom kitchens. 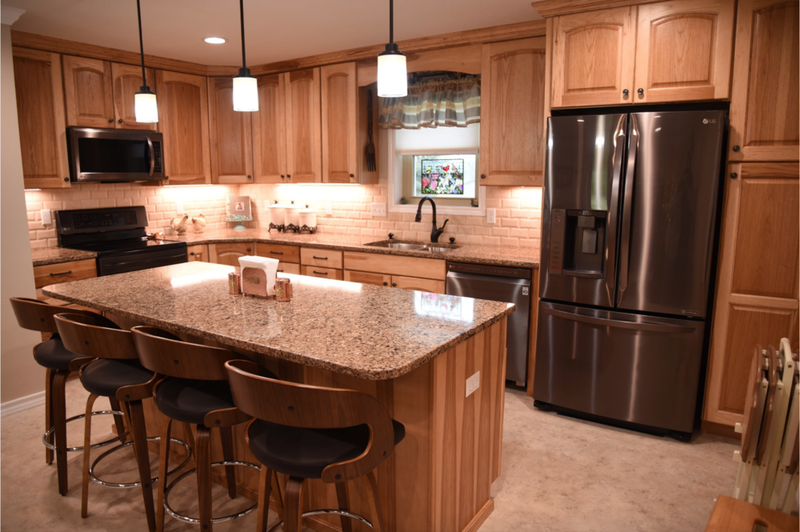 We have an experienced staff that can design a custom kitchen that fits your lifestyle. Our cabinetry line includes Mid Continent and Shiloh. To compliment our lineup of cabinetry, we offer appliances from Thermador, Bosch, and Miele. We also specialize in complete bath remodels backed by quality products from The Onyx Collection. MidContinent Cabinetry, Cambria Quartz countertops, 3x6 Mexican Travertine tile, and a Soci sink are included in this kitchen project. We supplied the appliances for this new kitchen! Featured is the Thermador 36” Gas Range Top, Benchmark Swing Oven, Benchmark Speed Oven, Bosch Hood Vent Insert, and a Benchmark Bar Handle. Dishwasher. Cambria Countertops, Shiloh Cabinetry, Bosch Home Appliances, Masonite Doors, Karndean Flooring, and Coronado Stone Products make this local project a real treat for us to showcase. In this sleek, gorgeous kitchen from a new home in Texarkana we supplied the cabinet materials, Karndean flooring, Interceramic backsplash tile, and Cambria quartz countertops! We supplied the "White Macaubas" quartzite countertops, Puccini "Alhambra Turquesa" backsplash tile, and the US Floors Coretec HD "Barnwood Rustic" Pine Flooring. We supplied the Thermador 30-inch Double Oven, Thermador 48-Inch Gas Rangetop, and Siena Beige Granite Countertops. We supplied cabinet materials, Bosch Home Appliances, fabricated/installed the Giudoni Ornamental Granite Countertops, and supplied the luxury vinyl plank flooring. We supplied the Shiloh cabinetry, quartz countertops, tile backsplash, Bosch appliances, Hoshizaki ice maker, and Soci sink. We supplied MidContinent Cabinetry: Ash with Black Glaze, Cambria Quartz Countertops: Style - Torquay, and a Soci Single Bowl Stainless Sink. 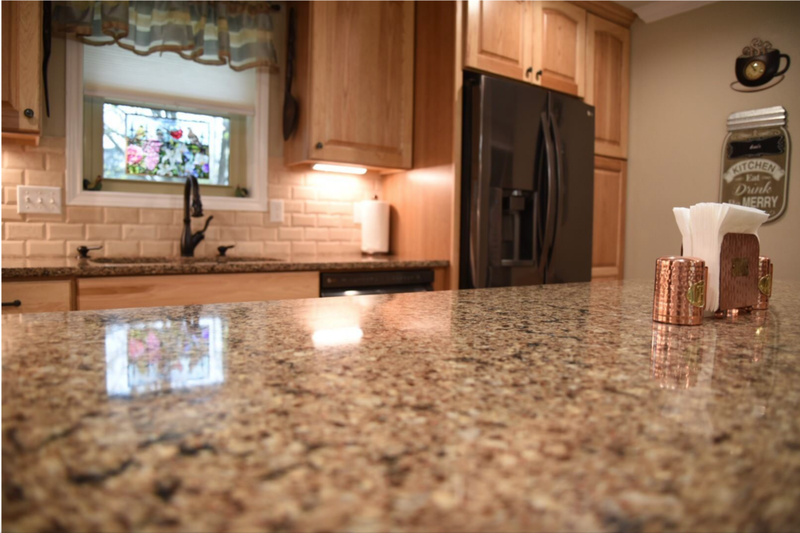 We provided the cabinets and countertops for this beautiful kitchen remodel!